The Currents trends in “Going Green” and recycling have shifted for businesses from the peripherals to the forefront where direct impacts on profits and running costs are now affected. The extreme focus on environmental impacts and its role in all business sectors across the UK has become an integral part of any corporation big or small. The UK’s laws on this subject are based on concepts derived from the EU’s ‘Waste Hierarchy’ CEO’s and Owners across the country are looking for new strategies to reduce cost and perhaps even profit from particular kinds of waste disposal. There are regulations and rules governing every type of waste a company can generate. Because of this registration is needed to store and remove of waste that comes in high quantity. According to UK law however one does not need to register if the business produces less than 500kg of waste in any 12 month period. Waste falls into a number of relevant categories and according to UK law there are over 29 different permits and registrations a business will have to consider when deciding on disposal technique. Typically your waste will fall into one or two of a few categories. Some categories and processes will be more or less complex depending almost entirely upon on the hazardous nature of the material. For instance Plastics and Cardboard can both be recycled by selling the material at low costs and high volumes. Alternatively those same plastics and Cardboard might be rubbished with typical waste and thus add to the cost of removal. All types of metal based by-products retain value that can be used as additional revenue for any business. UK law permits the scrapping of alloy and ferrous based items at any of the many facilities across the country. Many companies in the Industrial and Construction sectors do not realize how much money there is to be made on what would otherwise be considered rubbish. Many companies blindly bundle all of their wastes in dumpster scenarios that end up costing companies thousands in transportation and storage fees. 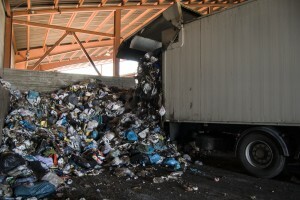 There are some very simple strategies companies can take to potentially take advantage of untapped revenue streams in their waste management process. First identification of material is key. As an example, Anything a magnet sticks to would be one designated container, Alloys without magnetic pull would be another container. Once a company has any idea of what they have a separation process can be set up for all the employees and customers to follow. Bins of varying sizes can be used to separate and manage types of material. Profits from Scrap metal can be used to cover costs of rubbish removal. Any additional recycling can be used as tax break incentives depending on local regulations and tax law. It is always advisable to shop around rates, most counties have competing interests in the waste removal sector. Whether you are looking for more quid per pound on your metal or valuable plastics, or lower rates on necessary removal with no recycle potential, you want to have an idea of the costs for your area as they will vary based on distance from ports or landfills. Ultimately any efforts to better re-use and recycle will be a source of positive press and marketing further bolstering your companies bottom line potential.